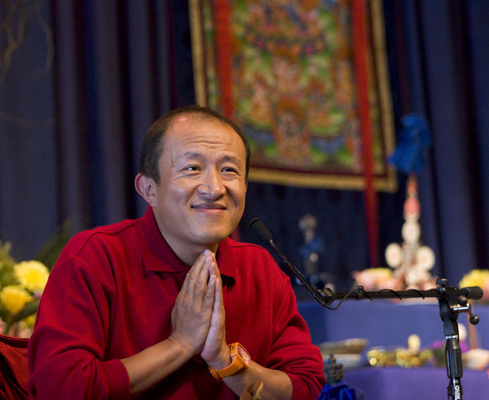 Last month Dzongsar Khyentse Rinpoche’s busy teaching schedule brought him to Halifax (after a seven year hiatus) to confer the Vajrakilaya Abhisheka and give four days of talks to a gathering of some 300, mostly students of Chögyam Trungpa Rinpoche. 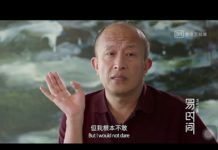 For those who have never encountered Dzongsar Khyentse Rinpoche, he’s a difficult person to describe. His presence is disarming and earthy, and he teaches with relaxed irreverence, much humor, and a brilliant command of dharma. He made the following remarks about Chögyam Trungpa Rinpoche during two of the talks he gave in Halifax. We would like to express our gratitude to Rinpoche for his permission to present these remarks here. I’m a very very lazy person who hates responsibility and hates relationships that have strings attached and, honestly, I don’t see anything that is attractive in this so called Halifax [laughter]. Nothing. Nothing whatsoever. But somehow, what is this? This is the third time. That’s saying a lot. Me? Here? This place? And not like an hour visit. Three, four, five days. I guess, it has to do with connections. But when you talk about connections….I don’t know. They say that there are great connections between Dzongsar Khyentse and previous Trungpas and the Surmang Monastery. Chögyam Trungpa Rinpoche himself came to Dzongsar Monastery and all that. But I have no idea about all of this, and actually I’ll tell you: I don’t feel anything. I don’t know if I’m a reincarnation of Jamyang Khyentse who had the connection with the Karma Kamtsang1 and Surmang. You know Surmang has this particular Karma Kamtsang lineage. The Surmangpas have their own sort of characteristic and Jamyang Khyentse Wangpo and Jamyang Khyentse Chökyi Lodrö were both very fond of that. Anyway, all of this….I don’t feel anything. I’m someone who can’t remember what I ate yesterday let alone past lives. I have no recollection. Nothing. For Tibetans, connections seem to be such a big thing. Recently when I visited Dzongsar monastary [in eastern Tibet], the Twelfth Trungpa was already there, he had been there for a few months before I arrived. My first knowledge of Trungpa is very funny. I was very young, ten I think. I was in Kichu in Paro receiving the Nyingthik tradition, all the teachings of Longchen Nyingthik. And His Holiness Dilgo Khyentse Rinpoche had this small shrine and on this shrine there were not many statues, but there were many photos of lamas. And somewhere in the middle there was this man with a sort of army uniform [laughter] and his hat was a bit small so you could see his head was shaved like a Second World War Japanese army general or something. Many times I thought, this must be His Holiness’s sponsor in Bhutan. But a sponsor’s photo on the shrine I even thought that maybe the attendants had made a mistake, but I didn’t dare ask for many many months. That’s it. I was very puzzled. When we were young, we never thought a tertön would come in a sort of army general uniform. Yeah, that’s what he said: tertön, he is a great tertön. Later in Nepal, we were cleaning his house and out comes this box, a sort of black box that’s wrapped with some silk. As soon as we placed it on the floor, His Holiness immediately said, “Oh don’t put this on the floor.” So we offered him the black box and he lifted it up and said, “Okay, come all of you,” and he blessed us with this black box. 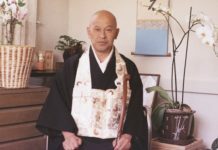 We ask him, “What is inside?” He said, “Oh, these are the treasure teachings of Surmang Trungpa.” This was after his first visit to North America. I think it was during the enthronement of Trungpa Rinpoche as the King, because both Trungpa Rinpoche and His Holiness sent me all these photos. Ed. 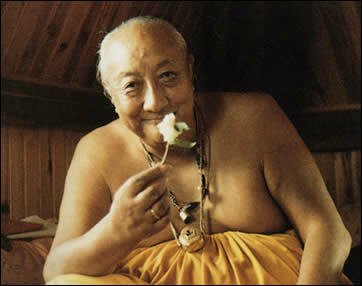 note: Dilgo Khyentse Rinpoche’s first visit to North America was in 1976. The Sakyong empowerment that Rinpoche is referring to took place in Boulder in 1982. Even though I don’t know what devotion is, still don’t (devotion is difficult, this is something really difficult, it’s beyond me; I don’t think I have devotion most of the time) I’m a big big fan and a big admirer of Dilgo Khyentse Rinpoche. And in my life—spiritually, materially, emotionally—he is the most important. So what I’m saying is, for me personallythis sleepy town, Chögyam Trungpa Rinpoche, the world of Shambhala, Kingdom of Shambhala—all of this is like unknown recipes. But His Holiness Dilgo Khyentse Rinpoche seemed to understand. Every time Shambhala was mentioned, every time Trungpa Rinpoche was mentioned, the way he manifested….this caring and the respect, and just the usage of words, the choice of words when he talked about Shambhala and Chögyam Trungpa Rinpoche. I mean, actually we know, I mean we heard in Nepal and Bhutan how Chögyam Trungpa Rinpoche misbehaved with long nails (that’s the first thing that we heard, that he had all these long nails…. I don’t know where that came from; must have been from students or hippies) and drinking alcohol and all that. Every time people said this….we knew, because we have been with His Holiness for a long time, when His Holiness was slightly unhappy, we knew, and there was something that he would do….he would not involve himself with that conversation. Sometimes when there were large gatherings (you know how Tibetans love gossiping) and people would gossip about Trungpa Rinpoche: his long nails and his alcohol and women and all that, His Holiness would just not involve himself in the conversation. 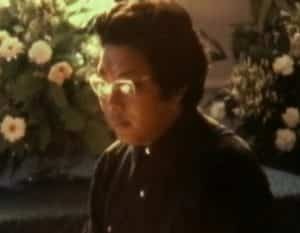 And we knew….over the years we knew that Trungpa Rinpoche was one of his most treasured friends. After Trungpa Rinpoche passed into parinirvana and there were some unstable situations in the Vajradhatu sangha, His Holiness was very concerned and talked to some of us about how important it was to assist [CTR’s students]. So I guess because of these things, even the most selfish lazy and fun loving person like me is dragged into this kind of situation [laughter]. And now when I think back … Buddhism is important for the world. Buddhism has a lot to offer. The message of the Buddha—non-violence, non-duality, the appreciation of the wisdom, the emphasis on wisdom—is so important. I’m not only talking about vajrayana, but also mahayana, hinayana, sravakayana, Zen, Theravadin, all Buddhist [traditions] are doing what they can to proclaim the message of Shakyamuni Buddha. All of these vehicles need to flourish. So generally speaking, Buddhism as a vehicle is really important. And then especially within the vajrayana, because you have such great merit to have Chögyam Trungpa Rinpoche basically half of his living here constructing, doing things….I mean, not many lamas have that time or energy to teach the vajrayana, promote vajrayana. 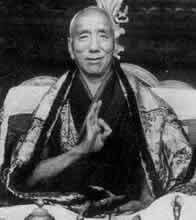 And then of course his own treasure teachings, the whole Shambhala business….very important, this is his vision. And actually, I must say, I’m really impressed that in this sleepy town you are still together. It’s amazing, it’s quite amazing that you are still together and actually growing. Of course individually we have our own path, our own practice. But as mahayana practitioners, we talk about benefiting sentient beings, right? Bodhicitta stuff. And one very effective way to benefit sentient beings is by having a community. That’s what the sangha is for. Buddha, dharma, sanghathe three most important things. Why sangha? Dharma: understandable, very important. Buddha: understandable, very important. But why sangha? It has to be important. So although individually maybe some of you may be scattered here and there, I think it’s really important to keep in your head, the importance of the sangha, especially one that is blessed and established by the great vidyadhara, mahasiddha. I’m sure that these days any guru can appear to be much more impressive: much more impressive teachings, much more impressive pins, much more impressive banners, much richer, and I don’t know, organized. But I’m very traditional. I’m very conservative, actually, very very conservative. I would still like to be involved with a community or an activity that is blessed by a mahasiddha. It’s a great opportunity. By associating yourself with this community that was started by a mahasiddha, you are becoming part of his action, his activity. So I’m sure there are disagreements. Two human beings have disagreements. They have mouths. Human beings have mouths, so always there are disagreements. I’m sure these things happen, but deep inside, fundamentally, I think it’s really important to establish and strengthen and carry on the work that Trungpa Rinpoche initiated. Over the years I’m sure some things might have to sort of change their color or shape here or there but they are rooted to what he established. So, for many of you, this is like Bodhgaya, isn’t it? This sleepy town is like your Bodhgaya. So keeping this Bodhgaya is important, I guess. And I can see a lot of people, a lot of you here, even though you are struggling financially, emotionally, struggling in many ways, you are still trying to guard this, trying to keep this intact and that’s really good. The best thing that I can do is rejoice. I really rejoice and I’m speaking from my heart. So yes, please continue living in this sleepy town and carry on. When there’s really nothing that important to do from time to time, people like us might come and just sort of visit [laughter]. Really, honestly, I don’t see anything here but that’s my impure perception. I am sure there must be something. With Chögyam Trungpa Rinpoche….he must have….because you know why? As I told you, I really trust His Holiness Dilgo Khyentse Rinpoche, and he was not someone who gave into social expectations, conventional expectations. He would not praise someone just for the sake of praising them. But I’ve seen how he manifests when it comes to Chögyam Trungpa Rinpoche. If you know Tibetan it’s much more surprising. 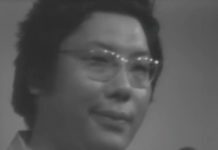 [People talked about] Chögyam Trungpa: wine, alcohol, long nails, long hair, and almost everybody was not so happy about it. But His Holiness Dilgo Khyentse Rinpoche: In front he would not be involved with these kinds of conversations. At the back, there were these small small messages, like. “Oh, he’s a tertön.” Stuff like that. So trusting His Holiness Dilgo Khyentse Rinpoche’s perception, I’m sure there must be something here [laughter], I’m sure. But I don’t see it. I can only rejoice that you are here. I want to tell you this. Because I’m a person who really doesn’t want to take responsibility, I wrote this letter right at the beginning before you received Abhisheka. You know abhisheka is serious business. We definitely have developed a certain connection, but in many ways I need to tell you this. Rest assured that I won’t be stalking you and knocking at your door. This has nothing to do with good humor. I’m just lazy, completely lazy. When the initiation was requested, I gave it some thought and based on some kind of connection that we already have… As I said in the initiation, many of you are actually my vajra brothers and sisters. We are kind of, you know, married. It may not be active, but at least there is a marriage. So giving you one more initiation is a bit like having our seventeenth wedding anniversary. What does that mean? I thought, nothing much. Anyway since we already have some kind of connection and since we also have our connection through past incarnations, which I hardly believe anyway, but if they are believable, then I guess there’s also that kind of connection… I don’t know if you have found this out. I don’t give initiations. I’m kind of known for that….just because it’s a scary thing to do. But there’s something kind of nice about the Vajradhatu sangha. You have so much devotion towards your own guru, and that’s really important. I mean like this tie and suit and this pin stuff. What is that? Personally it doesn’t do anything to me, these pins that you… Your guru has told you to do this and you’re doing it! Until now! For a long time now and that’s good, that’s really good, that’s really good. Generally Americans don’t listen. But this is amazing. The hard-headed arrogant North Americans, they don’t listen to anyone (very individualistic, totally individualistic) and here comes a small man from nowhere, and the very thing that these Americans are trying to go against, things like uniforms and pins (especially in the sixties, seventies, and eighties), this small man actually tells you to do just that and in fact more, like drill. Drilling? Is that what you call it? …and you’re doing it! It’s incredible, just amazing. I actually tell my Tibetan friends “Would you do it? [laughter] You Tibetans, you claim that you have so much devotion. But would you do it? If I told you, from now on all you guys have to wear samurai dress, would you do it?” I don’t think so. And it’s still very much alive and that’s really good. Hopefully, hopefully, this is guru devotion towards Chögyam Trungpa Rinpoche. If not, then it is just a tremendous admiration and appreciation for his work. This is appreciation for the activity of a mahasiddha, so this is really good. So these are some of the reasons why I thought, well why not. Just give them an initiation. Since there’s a good base, it’s very unlikely that we will all drag each other to vajra hell. I’m not trying to flatter you or anything like that. It’s difficult to give abhishekas if there’s no base of devotion, and I’m not talking about devotion towards me. In fact, please, if you are really sober, try not to have [devotion towards me]. But the other day during the initiation, I didn’t tell you this but I was actually thinking, I was praying, I was supplicating of course to my root masters, Dilgo Khyentse Rinpoche and all my gurus and also to Chögyam Trungpa Rinpoche. 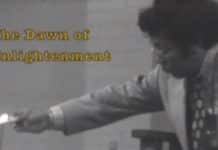 I was visualizing that since you are the receivers that you get some kind of….sort of your connection to Chögyam Trungpa Rinpoche would be enhanced. Of course my visualization is not so good, but for your benefit I was trying to pretend that I’m him. If there is any benefit through this abhisheka and through these teachings, it is because of your devotion for your master Chögyam Trungpa Rinpoche. His reflection is through his blessings. I’m serious in saying this. It’s through his blessings that you receive some kind of benefit. I’m telling you all this from a really good source. This is exactly what Jamgon Kongtrul Lodro Thaye and Jamyang Khyentse Wangpo said to their own students, and other students. I think it was Choggyur Lingpa and Jamyang Khyentse Wangpo. Choggyur Lingpa wasn’t that impressed with one of the previous incarnations of T’ai Situ, the present T’ai Situ’s predecessor’s predecessor [the Tenth T’ai Situ]. He was not that impressed because I think the Tenth T’ai Situ carried a gun and had dungeons and stuff like that. He was more like a warlord than a master. Jamyang Khyentse Wangpo told Choggyur Lingpa, you go and receive abhisheka from T’ai Situ. Choggyur Lingpa really didn’t want to, but Jamyang Khyentse Wangpo said, you must. 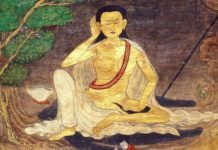 It is believed that when Choggyur Lingpa received the Chakrasamvara initiation all his ordinary thoughts stopped and Palpung Situ, Chakrasamvara, and Jamyang Khyentse Wangpo, took turns sitting on the throne and giving the initiation. There are many stories like that. Again, do not misunderstand, do not misunderstand. I have a lot of pride. There are lots of teachers in this world existing and probably some even not existing. You know I have so much pride I feel compared to some of them it would take some time for them to beat even my fart [laughter]. You understand? That much pride I have. But really, I in no way, in no way I can…. 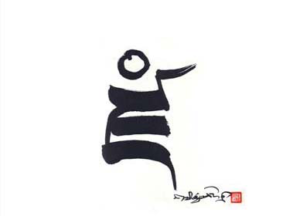 I’m saying that, like Choggyur Lingpa thinking of Jamyang Khyentse Wangpo, Chakrasamvara, and Palpung Situ as one essence….in no way I think, I claim, that I place myself with Chögyam Trungpa Rinpoche. Because of….just how, as I said yesterday, by how Dilgo Khyentse Rinpoche treated him. No way, in no way. He is a great mahasiddha. You can tell. His work alone. Actually, I’ve told Tibetans they should translate some of the books like Journey Without Goal or Cutting Through Spiritual Materialism into Tibetan. Yeah, it’s quite important I think also for the Vajradhatu sangha maybe in the future…..just like we study some of these commentaries of Jamyang Khyentse and Jamgon Kongtrul, you guys should study some of Chögyam Trungpa’s own work. Anyway, in no way… But in these degenerate times, if something helps you to practice and study, then I guess….what did Buddha say? Even from a prostitute and a hunter’s mouth, if what is coming out is something to do with compassion and wisdom then why not take it? So even though I do not place myself at their level, whatever has come out, the good things, those things that help your practice, then why not? We should all consider this as a blessing from my masters, your masters, their compassion manifesting sort of alive. That’s it. So we will do the feast this afternoon around two o’clock. 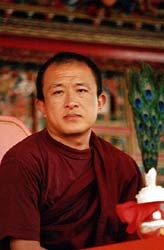 1 Karma kamtsang is an alternate term for Karma Kagyu. 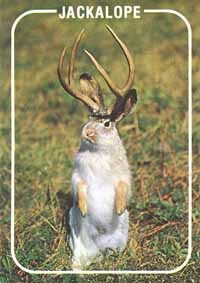 2 A rabbit with horns is a traditional buddhist example of something that does not exist.